Amazon’s Echo smart speaker may be selling better than expected but if you’re considering purchasing one this holiday season (either for yourself or as a stocking stuffer for a loved one), you may want to read this first. 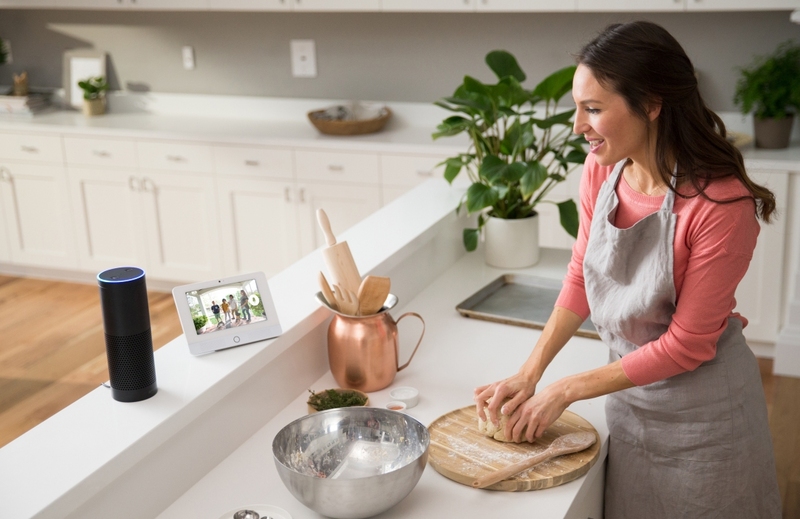 According to a report from Bloomberg’s Mark Gurman, Amazon is developing a premium Echo-like speaker featuring a seven-inch touchscreen display that’ll be positioned in such a way that it could easily be viewed when it sits on a counter and the user is standing nearby. Sources say the display will make it easier to access things like weather forecasts, calendars, news, appointments and more. Amazon is also testing a feature that would allow users to pin photos and the like on the device’s screen, much like how people affix pictures and drawings to their refrigerator doors using magnets. In addition to the display, the premium Echo will employ a higher-quality speaker for audio playback. The device will run an optimized version of Amazon’s Fire OS (the same operating system that powers its Fire tablets and Fire TV media streamers) and like its predecessors, it will respond to verbal commands. The premium Echo smart speaker could be unveiled as early as the first quarter, perhaps even at CES 2017 in Las Vegas come January. Amazon will reportedly keep its current lineup – the $50 Dot, the $130 Tap and the $180 Echo – around after the launch.